Wonderful 2 bedroom 2 bath home in gated community. 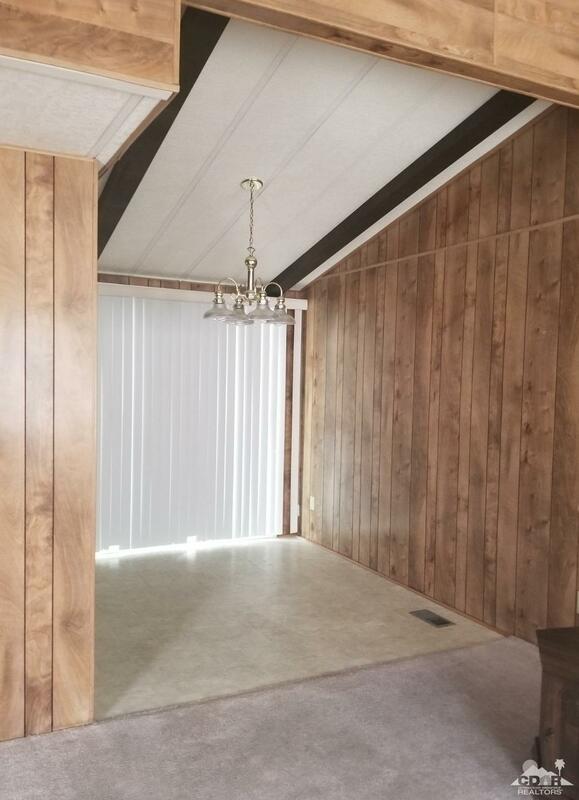 Upon entering you are greeted by a spacious living room with vaulted ceilings. Dining area with sliding glass door opens to backyard patio, great for entertaining! Backyard has gate that leads to a walkway, just steps away from community pool. 2 car detached garage. Desert Grove is a gated 55+ community located near polo grounds, hospital, restaurants, shopping and features 3 pools, clubhouse, pickleball courts and low HOA. A must see! Listing provided courtesy of Rosemary Lopez of New Era Real Estate.